Since their first full-length release, The Metal Opera in 2001, Avantasia have been creating groundbreaking symphonic power metal, and in January 2016 the German supergroup is set to release their seventh full-length album, Ghostlights, via Nuclear Blast Records. The mastermind behind Avantasia is Tobias Sammet. On more than one occasion in the past Sammet has come out and announced the end of Avantasia. However, records are still being released and in many ways they have arguably been getting better, a testament to Sammet’s creative drive and ability to craft amazing symphonic metal. One of the trademarks of Avantasia is the vast array of guest vocalists and musicians. Ghostlights carries on this tradition with artists such as Jørn Lande (ex-Masterplan), Ronnie Atkins (Pretty Maids), Robert Mason (Warrant), Dee Snider (Twisted Sister), Within Temptation’s Sharon den Adel, and former Queensrÿche vocalist, Geoff Tate, making appearances on the new album. Among the highlights on the album, the track “The Haunting” features Twisted Sister’s legendary frontman, Dee Snyder on vocals, and the keyboard work on this song is truly haunting. “Seduction of Decay” features the iconic voice of Geoff Tate (Queensrÿche). However, the most surprising guest appearance is probably on the gothic-inspired song “Draconian Love,” showcasing the low and slow voice of Sinbreed’s Herbie Langhans. Another noteworthy track is “Isle of Evermore,” which features the beautiful voice of Sharon den Adel of Within Temptation, who has a history working on Avantasia’s records. Marco Hietalav joins the roster on “Master of The Pendulum,” which has a huge sound reminiscent of Nightwish. The guest appearances are not limited to only vocalists. Former KISS guitar slinger Bruce Kulick showcases his amazing emotionally-charged guitar work on the song “Babylon Vampyres.” To round out the lineup on this musical adventure, journeyman Oliver Hartman lends some of his guitar work here. This latest chapter of Avantasia is arguably one of their strongest releases to date. 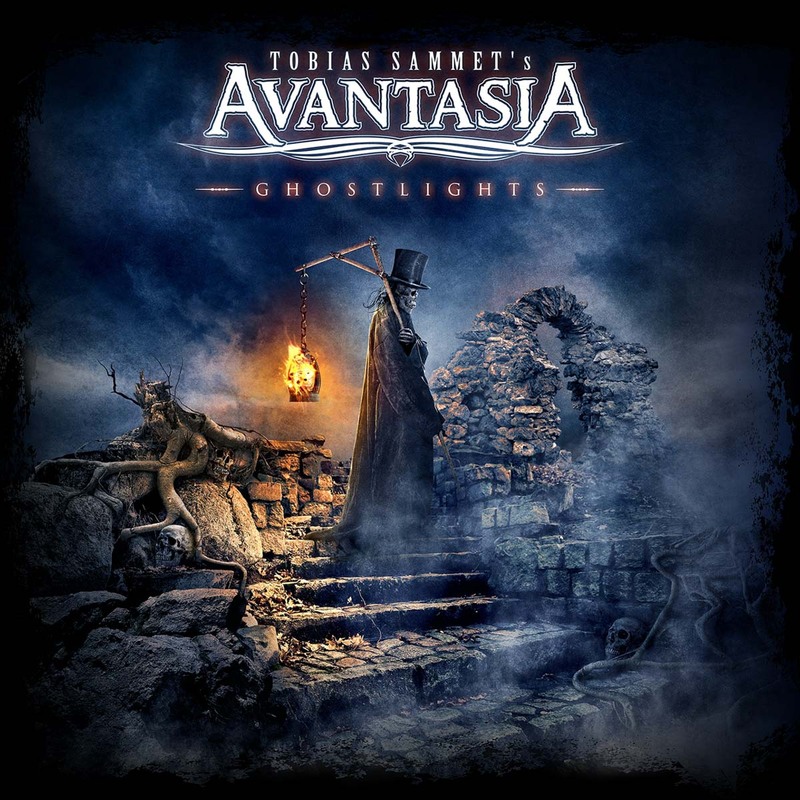 The atmosphere of the album is the darkest that Tobias Sammet has created, and Ghostlights takes the mantle of the band’s body of work in an already impressive discography. Dare I say that this is the album of the year for 2016 and the new year has taken a step in the right direction.